I thought that the new NBC News channel on Roku was a good sign from an old-school media outlet. I thought that NBC's release of a Roku channel signaled that the news network was going to embrace alternatives to cable and satellite. Unfortunately, NBC's one step forward was paired with the proverbial two steps back, as we found out today that all NBC, MSNBC, and CNBC content has been pulled from the Roku Newscaster channel. A new game was added to the Roku Channel Store today: Global Trade. The goal is to "achieve the greatest prosperity" by investing, hiring workers, producing commodities such as food, textiles, weapons, energy, and technology, and then selling or shipping those commodities. Read the full review on our Global Trade Roku channel page. For the month of December, Roku channel developer Flickstream is offering two of their channels at no charge. Drive-In Classics streams classic sci-fi and horror films and is currently featuring titles such as Attack of the Puppet People 3D (1958), It's Alive (1974), and Encounter with the Unknown (1973). The holidays are a tough time for staying in shape and keeping the pounds off. If you need to work off the Thanksgiving meal, burn off calories from the holiday parties and Christmas candy, or want to get a headstart on a New Years resolution, the Live Exercise channel can help. Strong winds are blowing and heavy rain is headed my way here in the Southeast, so I'm keeping a close eye on Weather4us. This is my favorite weather app on Roku. 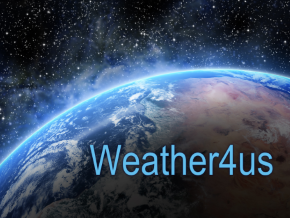 Click here to read RokuGuide's full review of the Weather4us Roku channel. You won't be able to post or read your news feed, but Roku's Facebook channel, which was revamped back on August, does an excellent job of letting you view photos and videos posted on Facebook by you and your friends. RokuGuide.com now offers an RSS feed to help you keep up with our new articles. Click on the RSS symbol in the right-hand column, or go to www.rokuguide.com/rss.xml. For more information on what RSS is and how to use it, read this quick introduction to RSS. Hopefully, your Thanksgiving dinner is planned, your food shopping is done, and your turkey is thawing in the fridge. But if you're having some last-minute nervousness about pulling it all together, here are some Roku videos that will point you in the right direction.